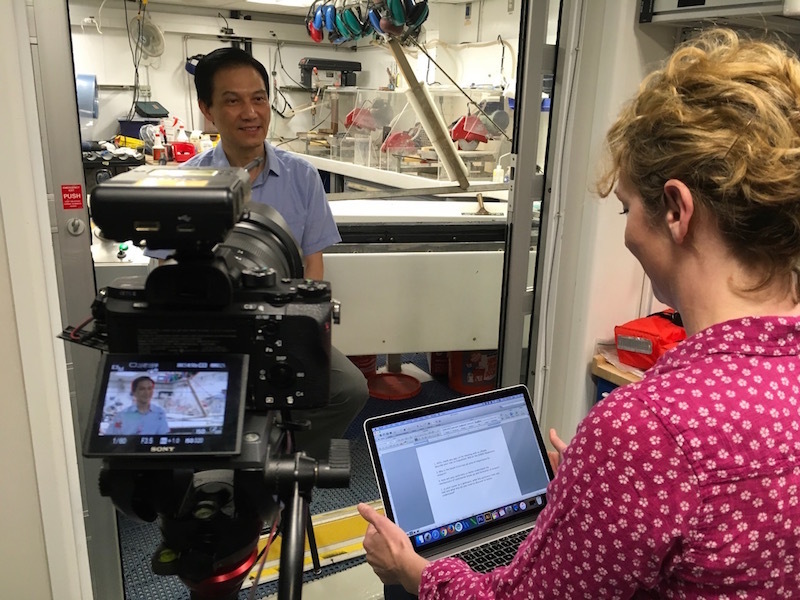 A couple of days ago I was able to finally sit down with Professor Jian Lin to discuss the big picture about the South China Sea and the important applications of geological research. 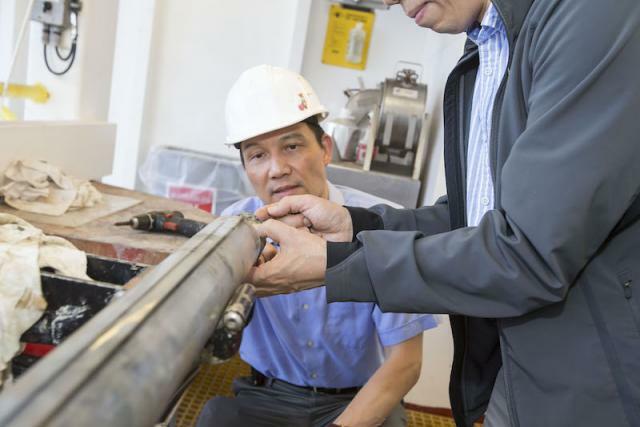 Jian Lin is a Senior Scientist and Marine Geophysicist at the Woods Hole Oceanographic Institution. He is also a professor of the MIT-WHOI Joint Program in Oceanography. This interview was conducted by Education Officers Amanda Wolfe and Shuhao Xie on Expedition 368. I’m coming to this expedition with 2 major roles. One, I’m one of the 5 co-proponents of this proposal. We put together a program to come to study the South China Sea. Number 2 I’m coming to this expedition as a physical properties specialist. And I also play a leading role in cored seismic data. I got involved in the study of the South China Sea about 18 years ago. I’ve come here 3 times now to this area. The first time we studied the formation of the East Asian Monsoon which affect the climate of this area. It’s related to the opening of the South China Sea. Three years ago, I came to this area to drill for the second time and was also a co-chief scientist on that expedition. That time we were studying how the seafloor spreading started and stopped in the South China Sea. This time we are studying the earlier history of the South China Sea. How did the sea evolve continents and rift apart to eventually form ocean. That’s why we are here today: to study the entire history of this area. Now, the South China Sea is one of the largest equatorial marginal seas in the world. It plays a major role in controlling the temperature and weather in this region. It also happens to be between the tallest mountains and the deepest oceans. This area was formed because a continent broke up and later formed an ocean, which we call the South China Sea. To study an area like this is better than a big ocean like the Atlantic because we are working in a smaller area. We can capture the essence of geologic processes in a manageable area.